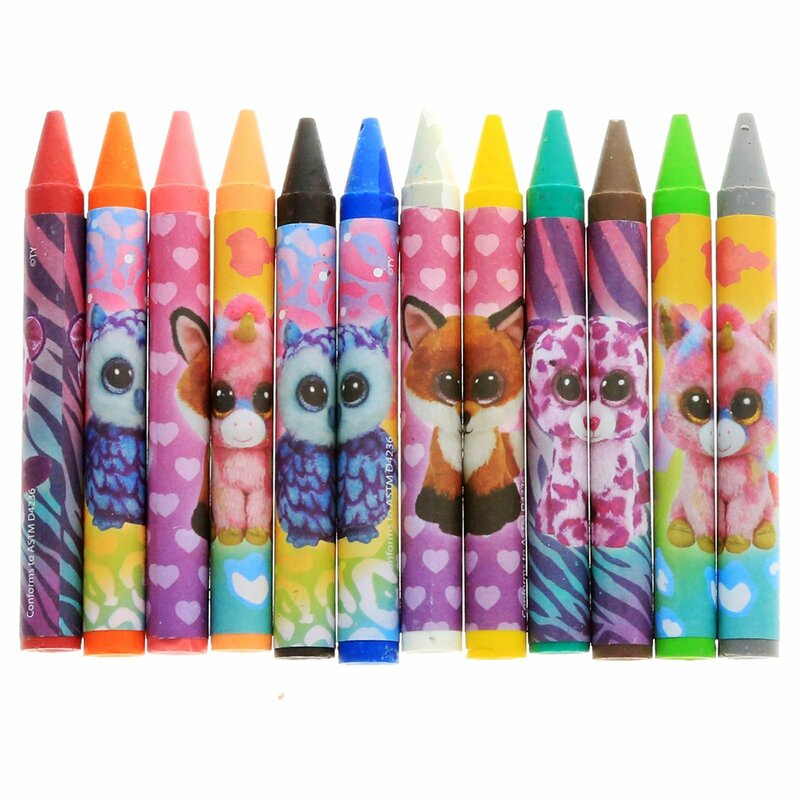 TY Beanie Boos Set of 12 Jumbo Crayons is a must have for any tiny Picasso! Boys and girls alike will love creating their very own masterpieces with this multi-color jumbo crayons set! This package includes 4 different characters of Beanie Boos so kids will have a variety of options to choose from. These adorable creative tools have the ability to unleash hours of imagination and fun times! These are a great Christmas present, stocking stuffer or gift for any occasion. Win kids and parents hearts over with this thoughtful gift. TY Beanie Boos Jumbo Crayons is a must have for any tiny Picasso! Boys and girls alike will love creating their very own masterpieces with this multi-color jumbo crayons set! This package includes 4 different characters of Beanie Boos including Slick the brown fox, Blitz the blue unicorn, Oscar the blue/purple owl and Glamour the leopard so kids will have a variety of options to choose from. This is a hit among little ones whether this is a first set of crayons or you're upgrading. This set also includes all the primary colors! These adorable creative tools have the ability to unleash hours of imagination and fun times! These are a great Christmas present, stocking stuffer or gift for any occasion. Win kids and parents hearts over with this thoughtful gift. 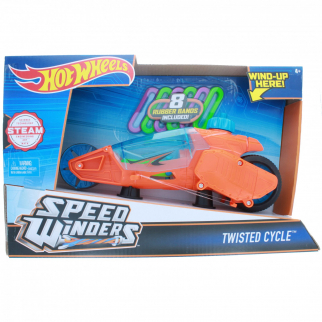 Hot Wheels Speed Winders Twisted Cycle Vehicle, Orange $ 12.99	• 24% off! 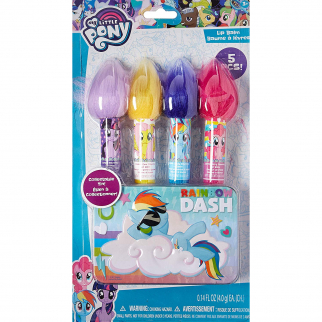 My Little Pony Friendship is Magic Collectible Rainbow Dash Tin Lip Balm Set $ 9.99	• 41% off!